I am always satisfied with my hair colour and style. Mandy is doing a fantastic job considering the present circumstances. She is cool as a cucumber. Been coming here for about 19 years. Mandy and Laura are just amazing people. So proud of you guys. ???????????? Had a lash lift and tint for the first time and I LOVE the results! Thank you so much Coral!! Also had fab gel nails so have had a lovely morning of pampering! I value the time for me! Mandy is just so lovely and I absolutely love my hair. Such a friendly atmosphere and you feel so welcome! How to spend your Saturday afternoon ???? Always a great atmosphere the girls give a great service and work hard to make you feel comfortable. The water is never cold and you never have to make your own coffee !! 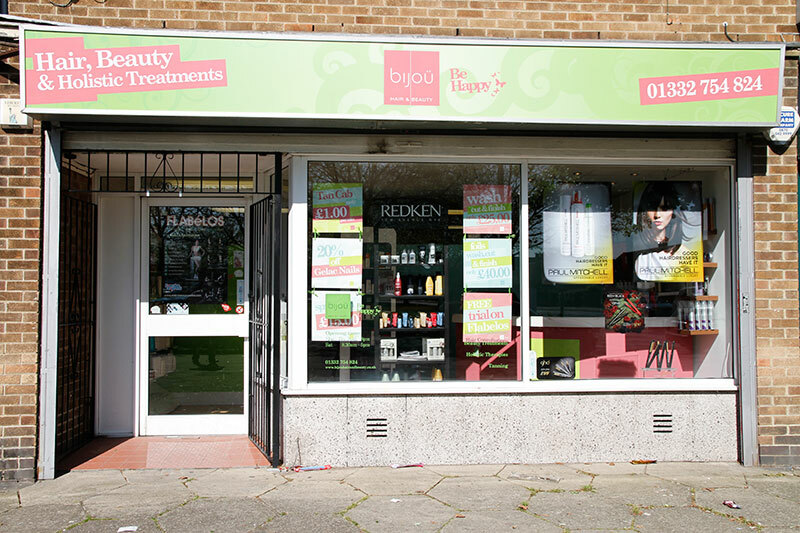 Had a lovely experience at bijou today for a hair cut and my hair straightened!!!... Felt very welcome with Mandy and Louise....will definitely be going back....my hair looks and feels so much better .....Thank you Mandy...???????? I came today for my daughter to have a dry cut. The staff were very friendly and welcoming and the cut was exactly what I had asked for, the stylist even plaited my daughter's hair which looks lovely. Yet again excellent attention to detail and pampering! Always come away with a smile on my face! Thank you ladies, I’m now Christmas ready! !